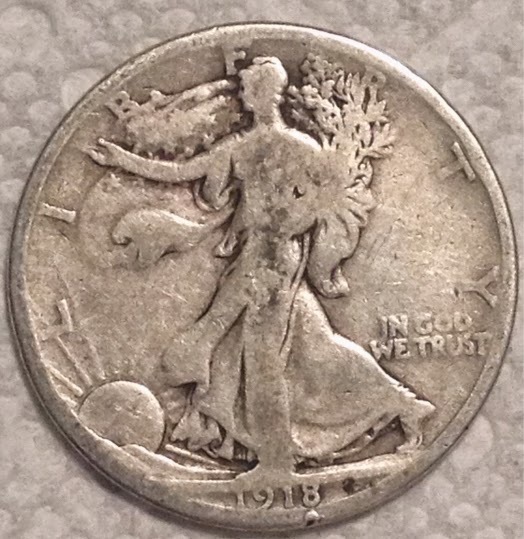 Today I added a 1918-D Walking Liberty Half to my Pocket Collection (these are low value coins from the late 19th and early 20th century that I carry with me, loose in my pocket). 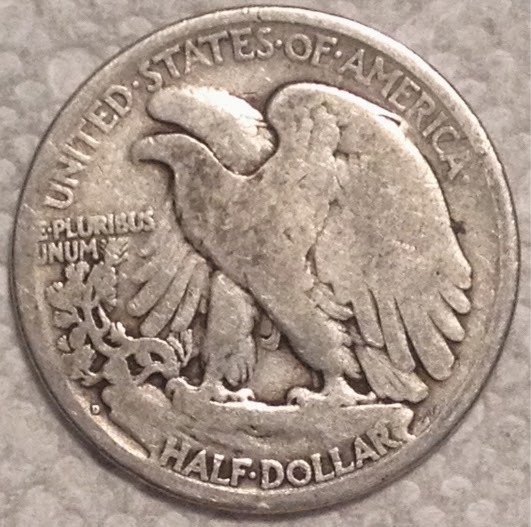 I have a few more coins coming for this collection: a Barber Half, a Peace Dollar, some Liberty nickels and some Barber dimes. It's a fun and very different way to collect and of course you can show your collection anywhere you happen to be! 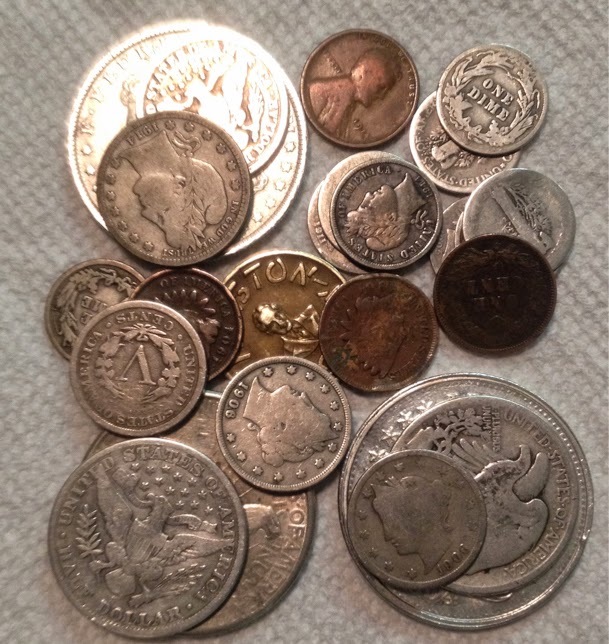 A Pocket Collection could be from any period: the Civil War, the Roaring Twenties, the Fifties, the Seventies - whatever you like. It's a collection where you don't worry about grade, where nothing is protected by plastic, where you don't have to wear gloves or handle the coins by their edges. You can hand one of your coins to someone and not panic if they drop it on the floor. For me, it brings back some of the pleasure I had collecting as a kid in the 50's. These walkers were still in circulation then and even Barbers and Indian Heads would turn up now and then. A Pocket Collection is for fun. It's up close and personal, not sealed in plastic and hidden in a bank vault. It's coins you can touch, spin, jingle in your pocket. 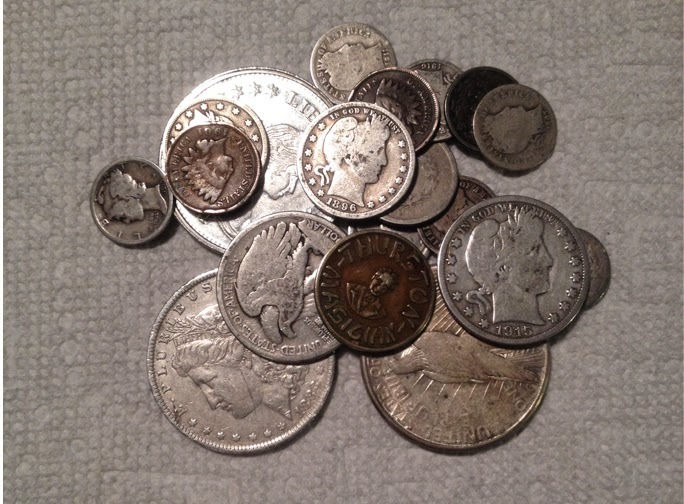 Speaking of jingling, it's been a long time since I have heard the melodic sound of real silver coins. That's yet another reason I enjoy carrying these in my pocket - I haven't heard that jingle since the 60's! 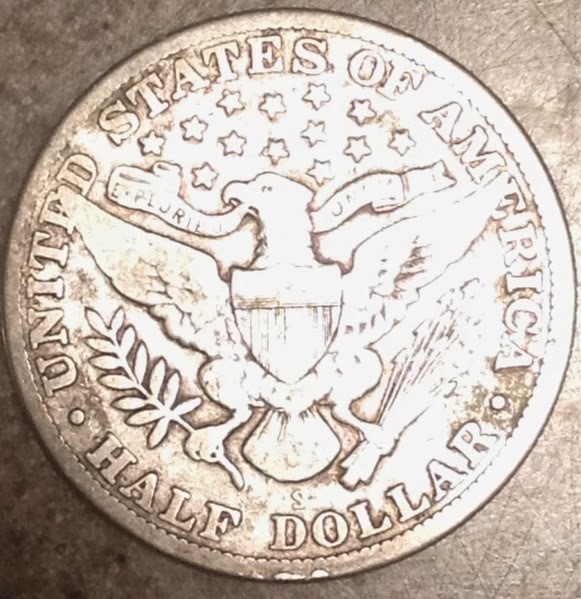 Update: Just after writing this, the Barber half I ordered for this collection showed up. 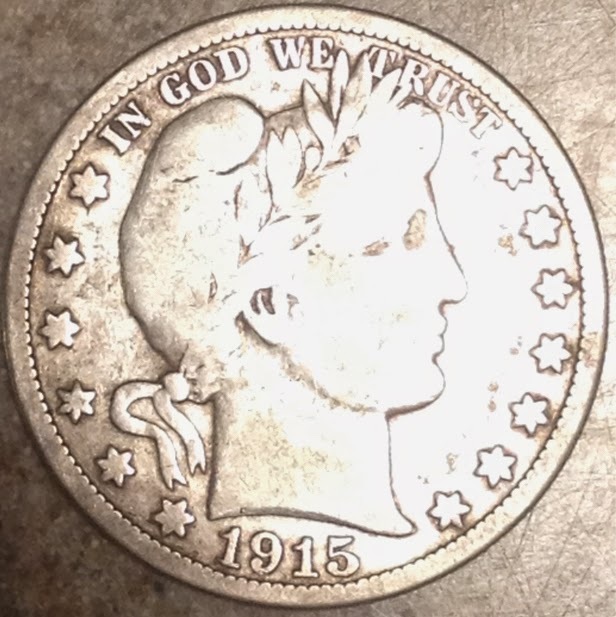 It's a 1915-S, well worn and with some rim damage - really a perfect coin for this collection! See also A different way to collect coins.